Kristl Harbour is a part-time adjunct faculty member in the Dental Hygiene Department. She teaches clinical dental hygiene to the junior students. 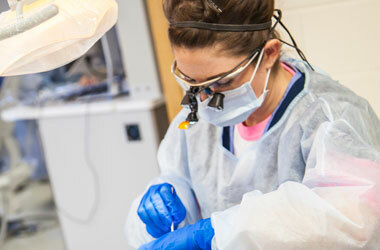 Kristl has practiced clinical dental hygiene in Idaho, Montana, and Wyoming for the past 11 years. She practiced as an expanded functions dental assistant in Idaho from 1996 to 2001 before moving to Wyoming. Kristl is a member of both the American Dental Hygienists’ Association and Wyoming Dental Hygiene Association.